If you have your own business, then you know every dollar counts. There’s no question of your need to have a website, but you may be agonizing over the decision between website builders for small businesses. 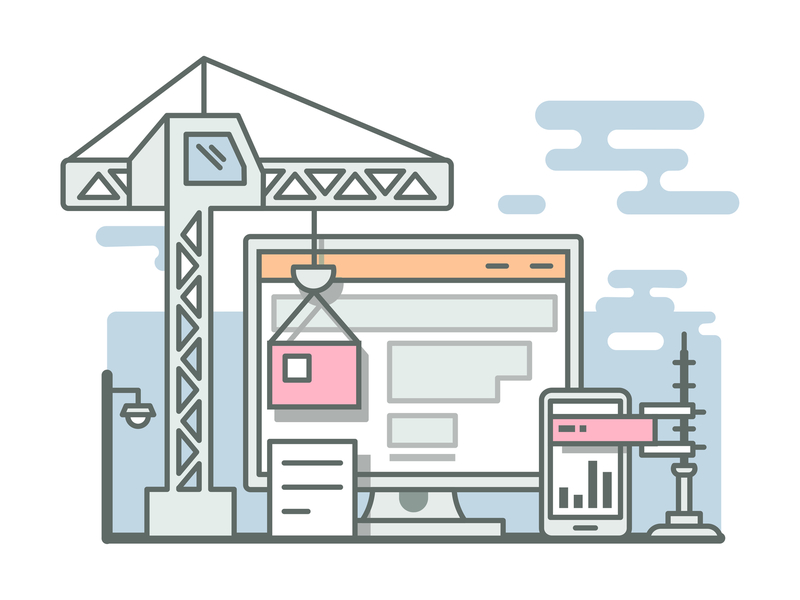 Luckily, you have a lot of options when choosing, so read more about the benefits and drawbacks to some of the most popular options for a new site build. Before you even begin looking at the different choices out there, you need to nail down not only what it is that you want out of your own website, but what makes a good builder in general. “The perfect platform is one that has a broad set of functionalities but, at the same time, is easy and intuitive to use.” Of course, what’s easy to use for one person may not be the same as another, so read reviews and testimonials of people who sound to be about the same skill level as you before making a purchase. One of the largest builders in use at the moment is Wix. You’ve probably heard of it before, but what do you know about this popular option? Wix has such a big following because it’s easy to use (utilizing an intuitive drag-and-drop format), has hundreds of templates that you can use to avoid starting from scratch, and is free for basic use. Their e-commerce option, which we recommend for smaller businesses, is just $8.50/month and includes hosting, but you can explore the free version and see what you can put together at that level, too. The options here are seemingly limitless! For those more entrenched in either the creative industry or within e-commerce, you might want to give Squarespace a try. They have Personal and Business options – at $12 and $18 annually, respectively – so there isn’t a free version, but its visual appeal makes up for that. Squarespace doesn’t allow for as much customization as some other website builders for small businesses, but that may be better for those who don’t have any design experience. Their many templates are lovely enough to win most people over without having to customize anything. You may be able to guess where we’re going next: WordPress. We recommend it for our projects and have our very own website built on this enormous platform (one that includes one out of five sites). It’s a classic and a safe bet for just about anyone, offering from free builds to Premium ($8.25) to Business ($24.92) per month. WordPress allows for in-depth design and customization work, along with SEO and analytical capabilities. Similarly to other builders, there are a lot of templates available, but also a lot of themes, plugins, and more. So, how do you choose with of these – or other builders – is right for your business? What you want in your builder is something has a good amount of templates to choose from (unless you want to design entirely from scratch). You want to be able to design for mobile as well as desktop. You want customer support, social media integration, and a low price tag. Based on all this (and, likely, more), explore the multitude of options and choose the builder that’s right for you! If you need some help trying to get started in building your website, or sorting between website builders for small businesses, then get in touch with Eyler Creative. We will work with you to make sure that your desktop site is mobile-friendly, to help you to design and develop a new website, and, if desired, develop and execute a marketing strategy tailored specifically to your business’s needs. We are a digital creative agency in Baltimore, Maryland with an excellent team of marketing managers, creative designers, developers and programmers all working together with one common mission – to deliver the absolute best client experience and solutions to reach your goals. We’d love to work with you on your next project. Sitelinks: What Are They, and How Can You Use Them Effectively? Writing Your Own Content? Make Sure to Keep It Relevant! How Can Local SEO Improve Your Keyword Ranking? Copyright 2018 Eyler Creative - A Website Design, Internet Marketing, Social Media Marketing, Search Engine Marketing and SEO company in Baltimore, Maryland.